Here are a few Scala Interview Questions for you! Download more High Quality Scala Interview Questions! In the present time, so many languages are used for software development. Scala is one of them. It is very popular for enterprise application. In this blog, we will study about advantages and limitations of Scala and we try to cover all the important features of it. Every language is beautiful and has a ton’s of features but if your application is developed in the Scala programming language, then development architecture will be concrete even when your application is composed with several features, which you will not able to get via a different programming language. Scala a highly scalable general purpose programming language that integrates the concepts of object-oriented programming. In other words, you can say it is a combination of object-oriented and functional programming which is used to develop highly scalable software. It is designed by Martin Odersky in 2004. Scala is the new language which is similar to Java language because it is based on Java Virtual Machine compatibility. The coding technique of Java and Scala is the same. It is a versatile language which is used for all type of applications i.e. Desktop application, Web application, and Mobile application. Functional Programming language: - Scala is a functional programming language. It is object-based language. Scala support nested function. Object Oriented: - As we already know that the Scala is an object-oriented programming language that means the core concept is working on class-object method. Scala uses singleton object basically singleton object which is declared by an object instead of class name. Data Type: - In the Scala language there is no need to declare the type of a function. The type of the last expression is defined as the return type of any function. Runs on Java Virtual Machine: - Scala runs on the JVM. When any program is compiled in Scala programming language, a bytecode is generated, which is executed on the JVM. A java program can be converted into a Scala program because both of them use the same platform for program execution. Scala also uses all classes of Java SDK. Advantages of Scala Programming language: - Scala is coming from the core concept of object-oriented background that’s why it is an easy to use this language. It is more similar to Java but Scala is more quick and robust. It only requires three line code to perform an operation where java requires nine line code to perform the same task. The biggest point in the Scala programming language is there is no need to declare a data type. That’s why it is faster than other languages. Scala also provides the IDE support. Scala IDE is similar to the eclipse. With the Scala IDE, you can handle a large project. Scala is a scalable language. With the use of Scala, you can build highly scalable software. Due to the high-scalability, it is more famous among all developers. Disadvantages of Scala Programming language: - Scala is a good programming language of all software but due to the object-oriented model, you can’t explore more. It keeps you in the bound. The other disadvantages are community support. If we compare Scala with the java, we found more developers of Java language rather than Scala and as we know that it is similar to a Java programming language but every programming language have their own functionality. So not every Java developer are expert in the Scala language. Scope in Scala Language: - Scala is an easy programming language and some of the big IT companies are using this language. Due to its scalability features, it is used on a large platform. It is working on the oop’s concept which increases the demand of this language. Big companies always looking for the new professional of this language. What is the main drawback of the Scala programming language? What is the type interface of the Scala? What is Null in Scala? What is Nil in Scala? What is Unit in Scala? What is REPL in Scala? What is the main difference between java if/else and Scala’s if/else? What is the main difference between val and var in Scala? What is a vector in Scala programming language? What is the tail-recursion in Scala? Explain the working of yield in Scala? What is the main difference between ‘concurrency’ and ‘parallelism’? The need of Scala developers is increasing day by day. Many big companies looking for Scala developers. If you are familiar with the Java programming language, so Scala is not difficult for you. It’s good for your future. Some of the many Scala Interview Questions listed below will help you get an idea about what questions gets asked in such jobs related to Software Engineering & Tech. Get through the Scala Interview bar with our selected Scala Interview Questions for all Scala enthusiasts! 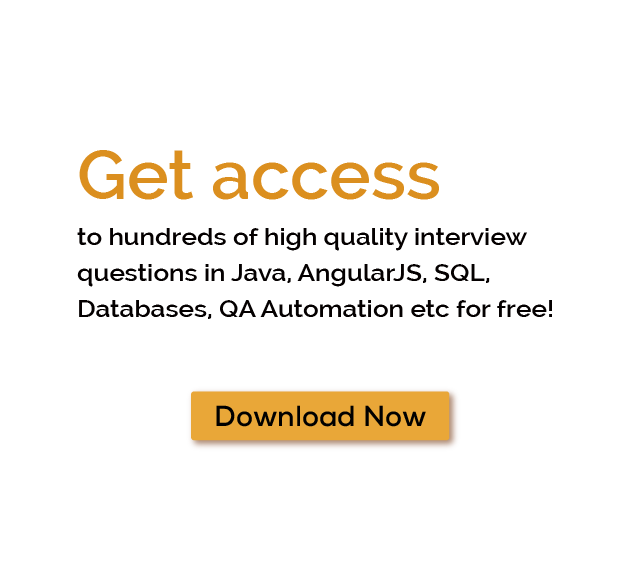 For thousands of similar Scala Interview Questions login to our Website or download EduThrill. Experience the thrill of challenging people around the world on Scala Interview Questions!